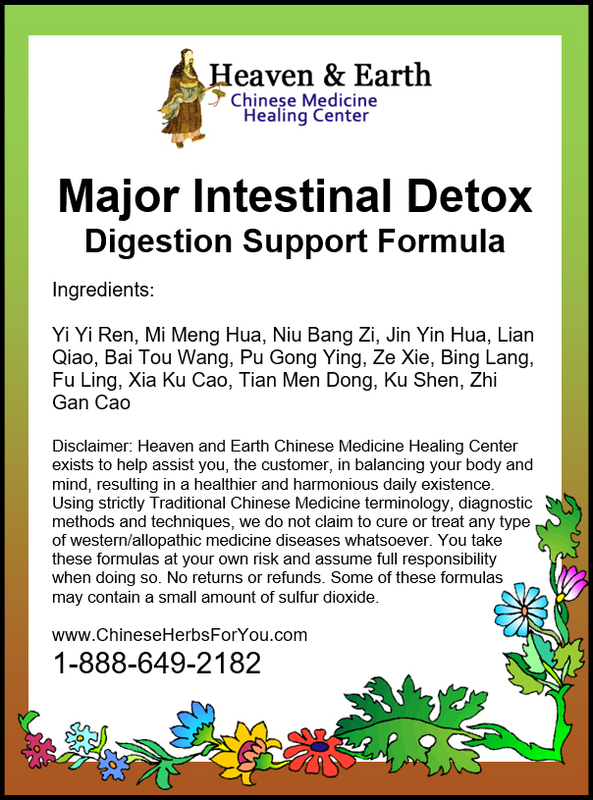 Our Heaven & Earth CMHC Major Intestinal Detox Formula helps to nullify Heat-Toxins in your: Liver, Spleen, Stomach, Heart, Blood and Skin along with clearing your digestive tract. 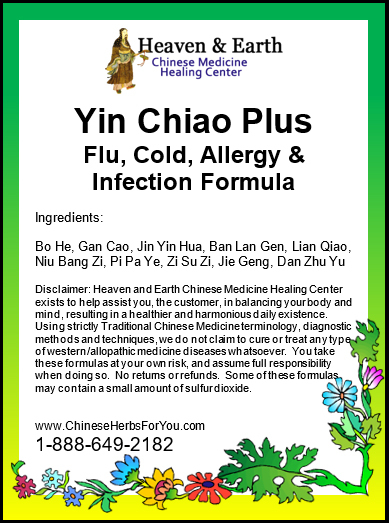 This formula has been devised to change the environment within your body by clearing Damp Heat, resolving the dampness and resolving toxins. 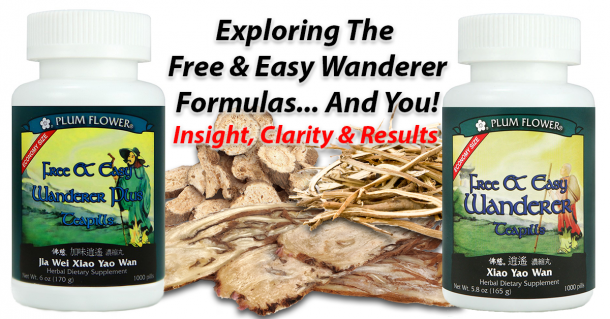 Through the eyes of Chinese Medicine, it can be understood that to change an antagonistic reaction within your body the environment must be changed. 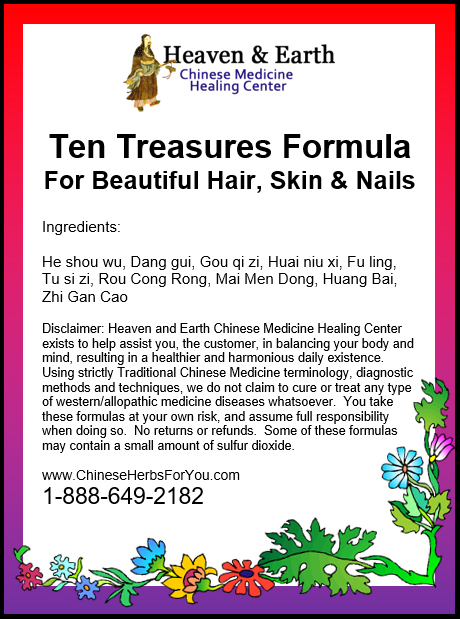 This is the basic view of within all of Traditional Chinese Medicine especially pertaining to Chinese Herbal Medicine. 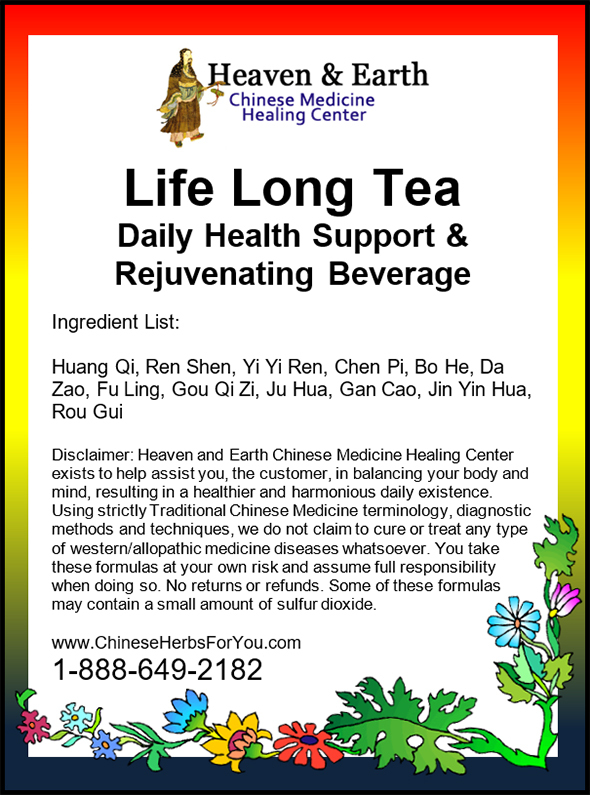 Greasy and rich foods, candy, pastries, smoking and alcohol can all lead to an Excess Heat Patterns requiring this formula. Hi guys- Thank you for your dedication to the health of people and pets. There is no one else more committed!